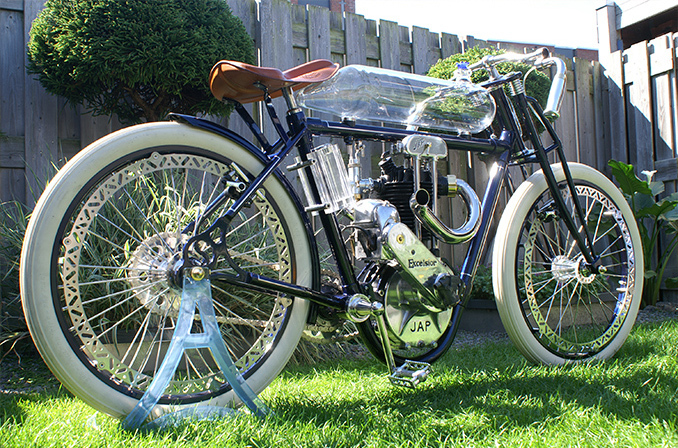 Are you looking for a beautiful custom-made motorcycle that reflects, for instance, the product of your company? In that case, Smits is the right place for you. We discuss the design, your wishes and our creativity with you in order to achieve a final product that is beautiful and entirely to your liking. It’s also possible to hire one of the motorbikes for, let’s say, an opening, a fair, or as a real eye-catcher for your shop.